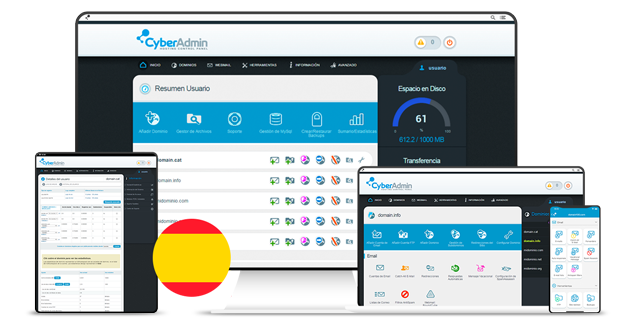 DirectAdmin with the Skin Cyberadmin is the best Unlimited Multidomain Web control panel. With it you will be able to control all the functionalities and characteristics of your hosting plan, VPS server and scalable server. Contact our commercial department to solve your doubts and obtain advice on our products and services. Throughout the year, including holidays. With Cyberneticos has several methods and payment facilities.